Picture this, reading a book out there on the mountains, reclining against an ornate bench, with not a bother about the charge of your ebook reader running out. Before you compare the experience with reading an actual book, remember that we’re talking about reading book volumes in a single device. It’s all good and possible with the Cybook Ocean ebook reader from Bookeen that offers battery charging via the power of the sun. You can continue reading for days on end and not go hobbling for a charging point. 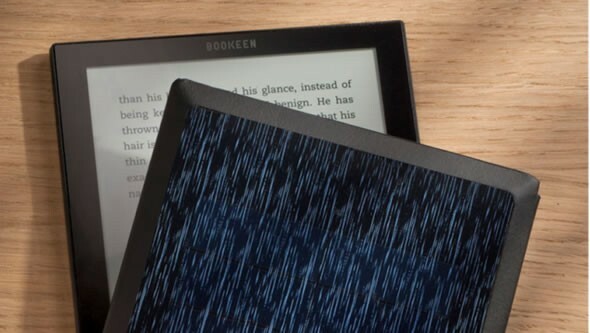 The reader is equipped with invisible solar cells at the back of it, with dedicated solar modules that add to the overall reading time. All a reader would have to do is read while outside in the sun, braving some serious tan and sun-burns and voila, you have a fully charged device to read even more.